So you own a turbocharged Subaru; as you may already know, your intercooler acts like a radiator and cools down the heated air coming out of your turbocharger right before it enters your engine. And like a radiator, the intercooler depends on a constant flow of outside air from your hood scoop at its surface to keep the intake temperatures lower. -Why are lower intake temperatures important? Colder air is denser than hot air, and can be compressed more efficiently, resulting in more power and less detonation.If you have ever pulled over after a spirited drive and felt your intercooler, you would notice that it can get pretty hot. This is partly due to the ineffective design of the factory metal splitter inside your hood scoop. 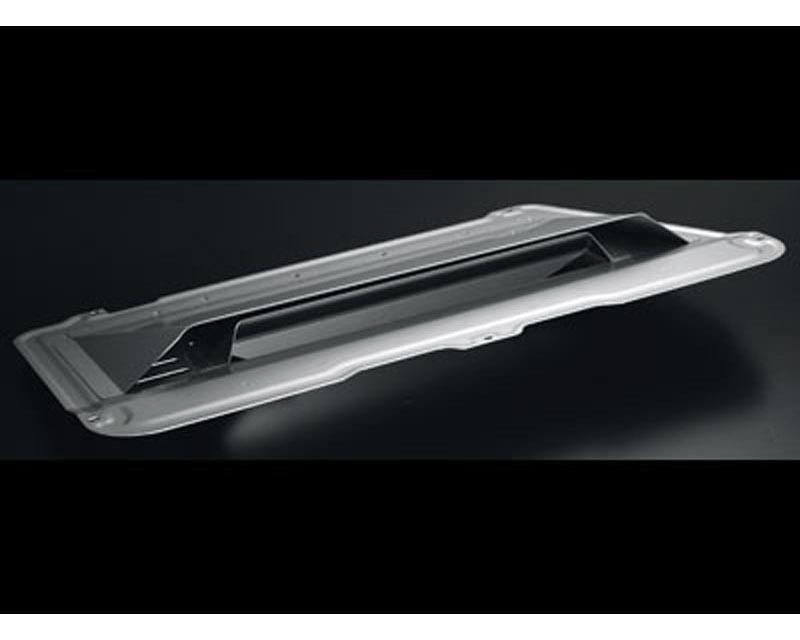 With the way the factory splitter is designed, air entering through the hood scoop is only directed over about 50% of the intercooler’s surface area. This is where the Zero/Sports Cool Action 2 Splitter comes in. -Constructed of lightweight aluminum, the Cool Action Splitter has specially angled fins that rise into your hood scoop. These fins collect incoming air and disperse it evenly over the entire surface area of your intercooler, dramatically increasing intercooler efficiency. This increase in intercooler efficiency will result in lower intake temperatures, and more power! -The improvements seen make this a perfect upgrade, even for a car with a factory intercooler and hood scoop. And for the STi, you will still retain the use of your intercooler water sprayer, which further increases the usefulness of the Zero/Sports Splitter. -In 2006, the Zero/Sports Cool Action 2 Splitter was introduced to the American market at the SEMA show in Las Vegas. Out of the 1,500 contenders for the SEMA International New Product Award, the Zero/Sports Splitter was honored as one of the 32 winners.